Holm oaks are some of the most emblematic trees in Mediterranean forests and the most abundant ones on the Iberian Peninsula. Holm oaks have provided countless applications throughout their hundreds of thousands of years of history, and currently are one of the main resources for livestock farmers in the dehesa, a vital ecosystem in southern Spain. The AGR-164 research group at the University of Cordoba, headed by Professor Jesús V. Jorrín Novo, has sequenced the transcriptome of this emblematic forest species, which is an important starting point to understanding its reactions to stress, as well as other aspects of its biology. Specifically, this research work, published in PLOS ONE, rebuilt this transcriptome, which was unknown beforehand, by combining two methods of DNA sequencing and three programs to assemble the data, a seldom-used methodology that was chosen with the aim of improving the results. This is a bioinformatics project with a wide scope in which more than 34,000 annotated transcriptions were generated in the end. This methodology, which has proven to be effective, could be used in other non-model organisms. Holm oak is a forest species for which there were no previous studies at a molecular level nor were there reference genomes. "We obtained a first approximation of the genome," says Víctor Guerrero, one of the main researchers who worked on the project. All the information that was generated could be used to tackle new research into the molecular behavior of this kind of tree in different situations of stress, such as oak decline, an issue that is causing a high rate of mortality in these kinds of trees and has been dubbed "the cancer of the dehesa." This forest species reproduces by means of cross-pollination, and thus it has a wide genetic variability. 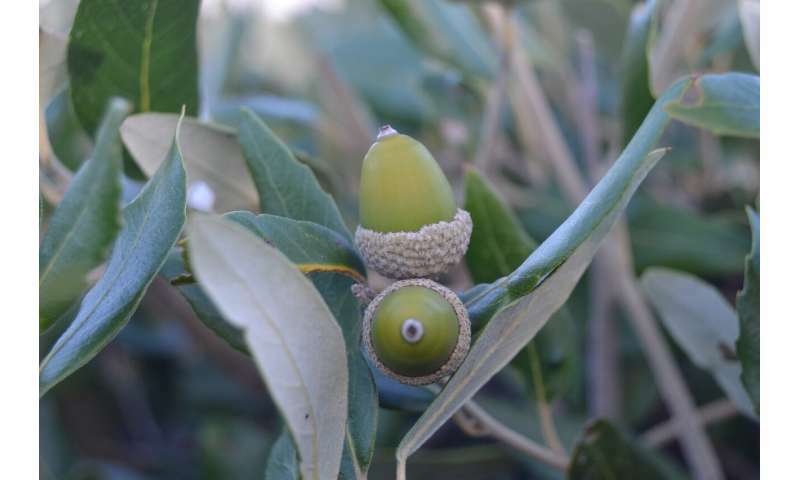 Knowing its transcriptome could help to understand why some specimens are superior in terms of survival and what genes or molecular mechanisms are involved in different situations such as germination, drought resistance or acorn quality, something that could be considered when developing future plans for reforestation. In order to do so, Professor Jorrín Novo explains, "There is stilll a lot of work to be done, though this study places us closer to the great unknowns at a molecular level."